Paul Bostaph has rejoined Slayer. 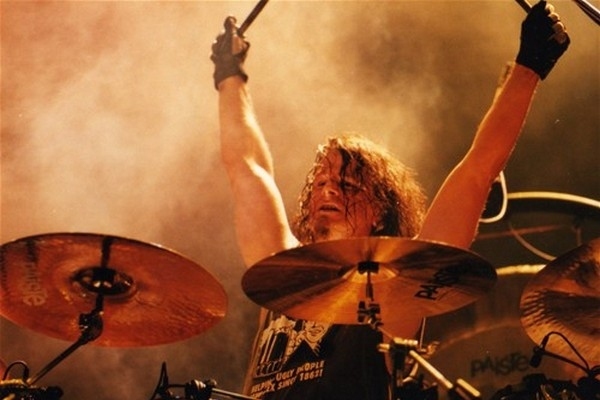 Bostaph got his start with Forbidden and first joined Slayer in 1992 after Dave Lombardo’s [first] departure, playing on three Slayer albums: Divine Intervention, Diabolus in Musica, and God Hates Us All. 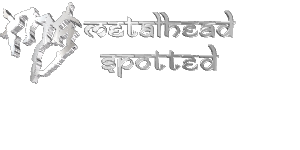 He was temporarily replaced by Jon Dette (who also filled in for Lombardo earlier this year) between 1996 and 1997 while he worked on a solo project. Bostaph eventually left the band again in 2001 to make way for Lombardo’s return, after which he served time in nu-metal band Systematic, Exodus and Testament. Bostaph is an absolute monster behind the kit (hell, we ranked him as the #22 Best Modern Metal Drummer) and should no problem slotting in behind Slayer’s drum kit. LOS ANGELES, CA — Slayer’s Tom Araya and Kerry King are very pleased to announce that Paul Bostaph has rejoined the band on a full-time basis. Bostaph will be behind the drum kit beginning June 4 when Slayer kicks off the first leg of its 2013 international tour in Warsaw, Poland. Gary Holt will continue to fill in for fallen guitarist Jeff Hanneman. Slayer’s 2013 itinerary will have the band playing 35 dates that will include headline shows as well as a number of major summer festivals in Europe, Eastern Europe and South America between June and October. The complete itinerary is below. After Hearing This New MEGADETH Snippet, I Need To Be Pulled "Off The Edge"
Wow, so after hearing the terrible title track and then the better "Kingmaker," our third taste of the new Megadeth album, Super Collider leaves a bad taste in my mouth. 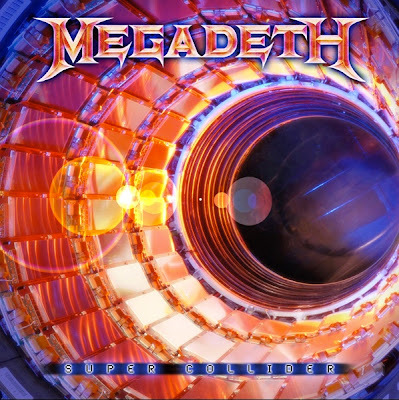 Take a listen to this snippet of "Off The Edge:"
Look, the riff is good, the drums are great, but those lyrics and Mustaine's vocal delivery? Terrible. It's as if he's aware of all the parodies of him Darren does on the Livecast and is acknowledging his own silliness. The lyrics are basically nu-metalesque garbage. Feh! Am I alone in being so critical of this?